Somaliland is an example of a territory that has fulfilled the conditions that are pre-requisite for state recognition in the international system. Somaliland is however, not recognised as a state. Questions abound about why Somaliland finds itself in this situation when there are territories which obtained recognition after fulfilling a fraction of what Somaliland has achieved. This study contributes to answering the aforementioned questions. This study has certain objectives. It delved into the examination of the criteria that is used for the recognition of states in the international system. 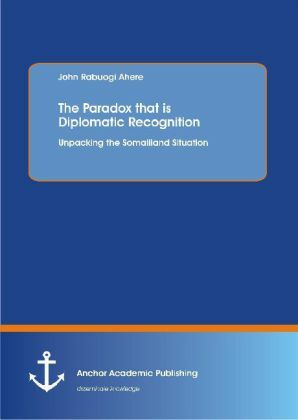 It also analyses the role of intergovernmental organizations in the non-recognition of Somaliland. The objective of this study is also to make an assessment of the nature of interactions between Somaliland, and other actors in the international system.